With the rise in the use of analytics and big data, companies are dependent on the data they collect. But if the data is not formatted in a way that analytics tools can access and use it, the results produced will be incomplete or inaccurate. This is where strong data integration plays a vital role. 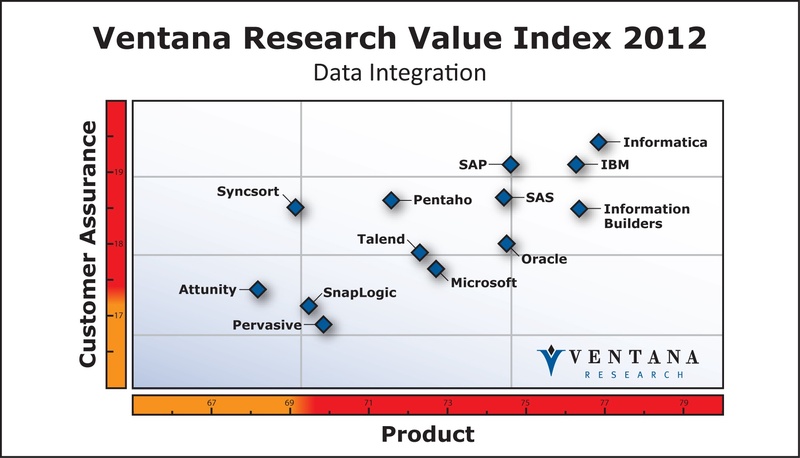 The Ventana Research Value Index: Data Integration in 2012 reviews tools available to perform this data integration, helping companies find the right tool for their data needs. Companies compared in the 2012 Value Index for Data Integration include: Attunityfollow, IBM, Informatica, Information Builders, Microsoft, Oracle, Pentaho, Pervasive, SAP, SAS, SnapLogic, Syncsort, and Talend.